Obamacare health insurance premiums in some states are expected to rise by double digits next year, according to data from the group Freedom Partners. Last year, premiums increased by 22 percent and this year they are expected to rise even further by 27 percent. This increase comes after premiums already rose by 32 percent from 2005 through 2012. Freedom Partners created a map, which shows state residents how much they can expect their premiums to increase in 2018. The five states where premiums are expected to grow the most are Virginia (55 percent increase), Kentucky (49 percent increase), Mississippi (47 percent increase), Maryland (47 percent increase), and Florida (43 percent increase). Certain areas in some states may see even higher premium increases than the state average. According to the data, there are 335,000 enrollees in Florida who could see their premiums rise by 71 percent. Another 21,000 enrollees in Virginia may see premiums hike to 81 percent. In Kentucky, there are 23,000 enrollees who could see a 56 percent premium increase. "These cost increases represent a massive burden, especially for the estimated 10 million Americans who either earn too much to receive government subsidies through Obamacare to pay their premiums or purchase coverage outside of the law's exchanges," the report said. 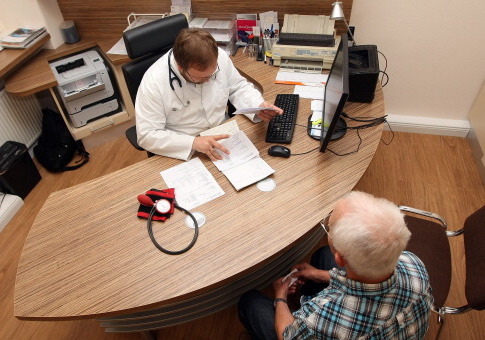 Nathan Nascimento, the vice president of policy at Freedom Partners, said these skyrocketing costs are why Congress must repeal Obamacare and provide relief to Americans. "It's about time the government stopped fining people who can't afford to buy these plans in the first place," Nascimento said. "This administration is showing that it is serious about expanding access to more affordable and flexible options—it's time now for Congress to get serious, too." The Department of Health and Human Services recently released a report indicating that premiums are expected to rise by 37 percent for the second-lowest cost silver plan. The Freedom Partners analysis looked at all plans on the exchanges. This entry was posted in Issues and tagged Individual Mandate, Obamacare, Obamacare Exchanges. Bookmark the permalink.